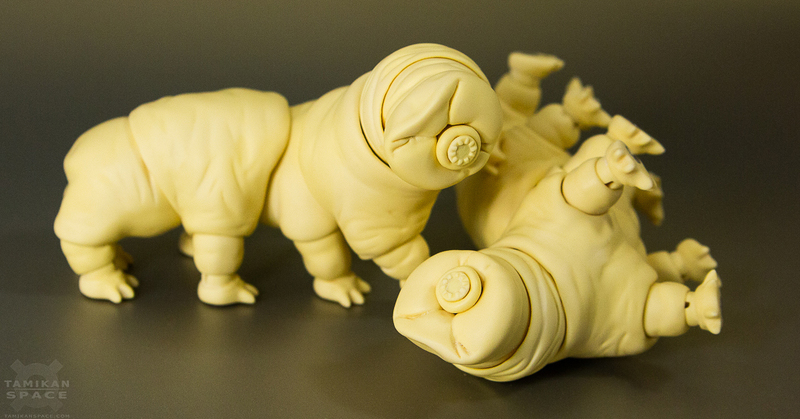 Tamikan Space Pet Tardigrade is a ball-jointed doll cast of polyurethane resin standing 6 cm (less than 2½") high. Its length is about 13 cm (5"). It has strong magnets in its feet and a magnetic mechanism in its tubular mouth, which helps to pull it out and then pushes it back. There are three types of tardigrade tints: opaque pastel ones; different translucent and almost opaque dark ones; glowing in the dark after being exposed to bright light ones. A pet costs from $150 or $175 depending on its colour. 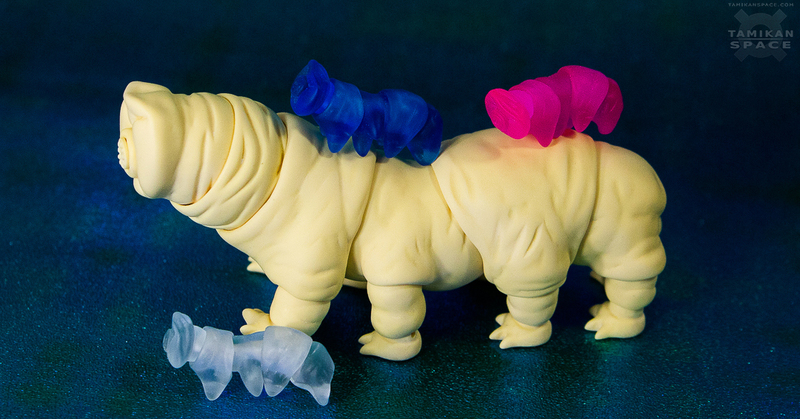 Your Tardigrade can be tinted with a custom or one of the previous basic colours, the price of such a doll is $250.